Just for a bit of cultural stuff. Located on the foreshore where Western and Eastern Drive join. 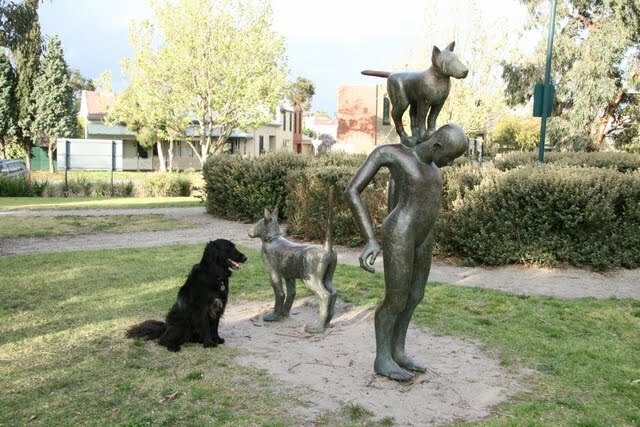 Dad’s friend Mark Stoner is the artist responsible for this park and also the one out the front of the football oval Kardinia Park. The skate boarding was fun to watch and it seems to be a good community living space. 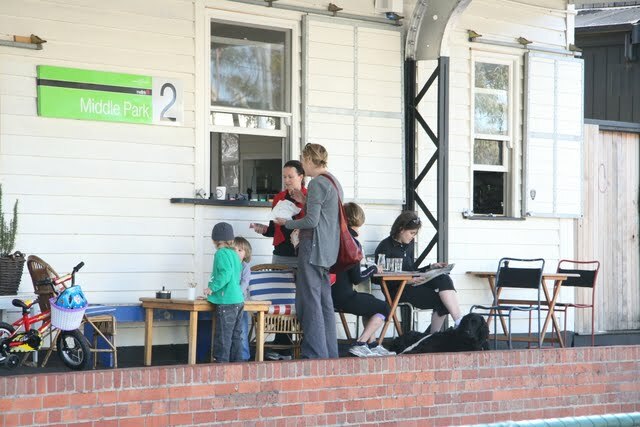 A great little coffee shop in what is now a tram stop in Middle Park. Tricky to find when you first go there. 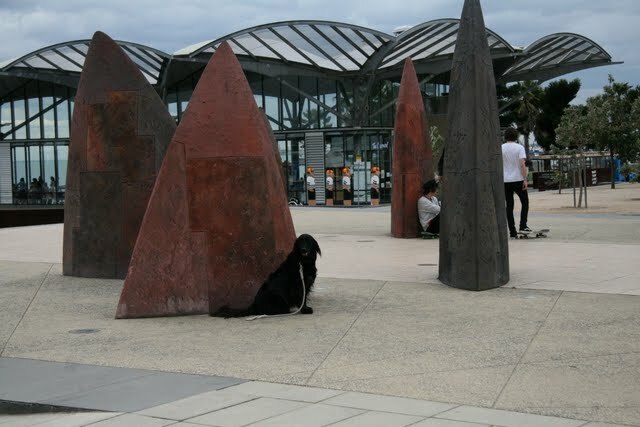 It is adjacent Albert Park so there are plenty of walks, they have fresh water and they welcomed dogs. Really good breakfast and coffees. Mart Cafe at a tram stop - only in Melbourne! 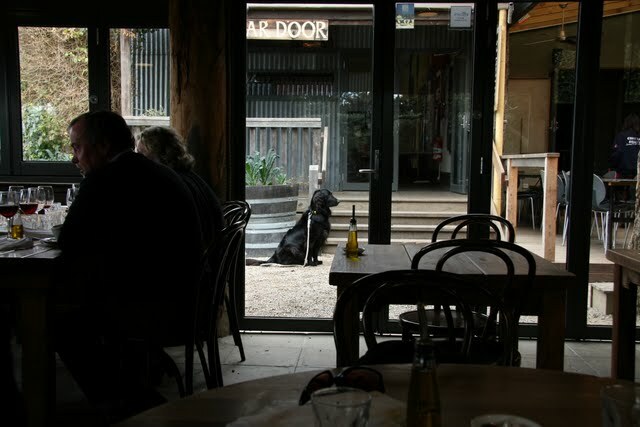 While I wasn’t able to sit beside mum and dad as it is more of a bar outside with the restaurant inside, I was still welcome to wait outside between the cellar Door and the restaurant. I was quite relaxed about it getting lots of pats until the owner’s cat began taunting me, so towards the end of lunch I was getting a bit stressed. As mum and dad enjoyed a really good lunch with good wines. 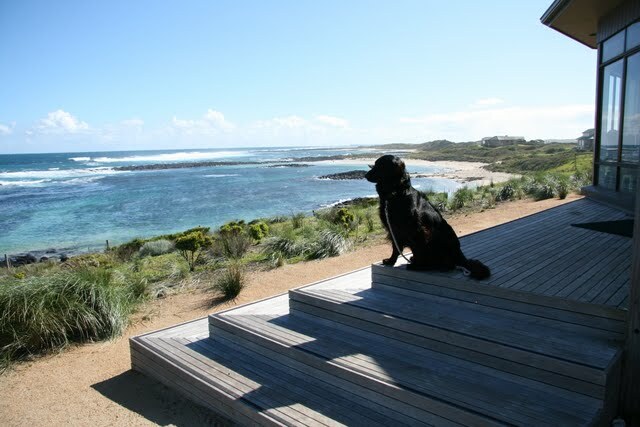 A little hard to find out on Thistle Place but I was given a nice spot to look out over the ocean near where Mum and dad sat in the restaurant. It was too windy for them to sit outside that day. I loved the view and we went down onto the beach after lunch for a walk. This is ranked as one of the best restaurants in regional Australia and we have been here a couple of times now. http://www.royalmail.com.au/ . I get a place near a window so I can keep an eye on things. The sommelier on both occasions brought water out for me. 3 paws as they didn’t fawn over me but mum and dad loved it. We stay out at the sheep station about 3 kms from the restaurant. The accommodation that we stay in is a blue stone cottage that looks out to Mt Sturgeon in the Grampians. Great walks. 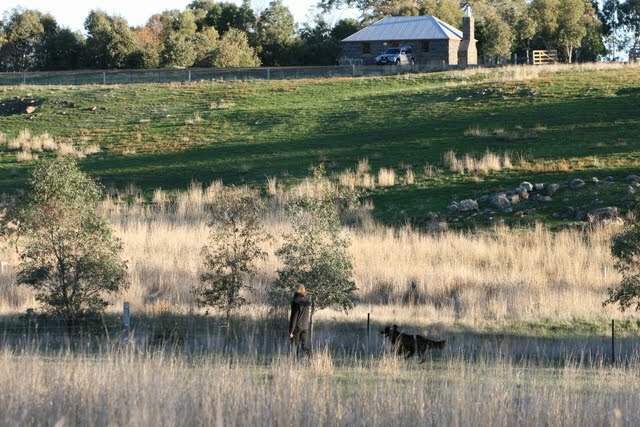 http://www.royalmail.com.au/Pages/Mt_Sturgeon_Estate_Accommodation.aspx . As accommodation goes with outlook it doesn’t come much better in the countryside. A great beach with some amazing homes overlooking it. We stayed at a really good B+B. 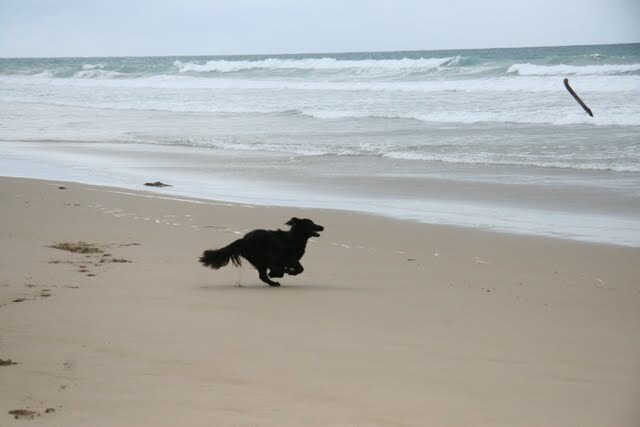 There may have been some water at the surf club but we were there during winter so there was no one there. Love a good chase. 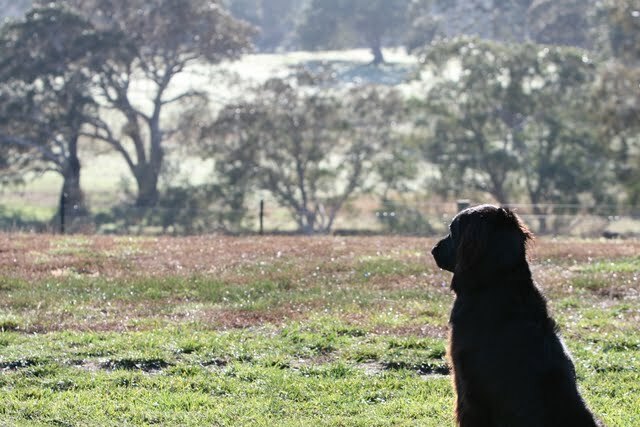 I am known for being a Flat Coated Chaser as distinct from being a Flat Coated Retriever. 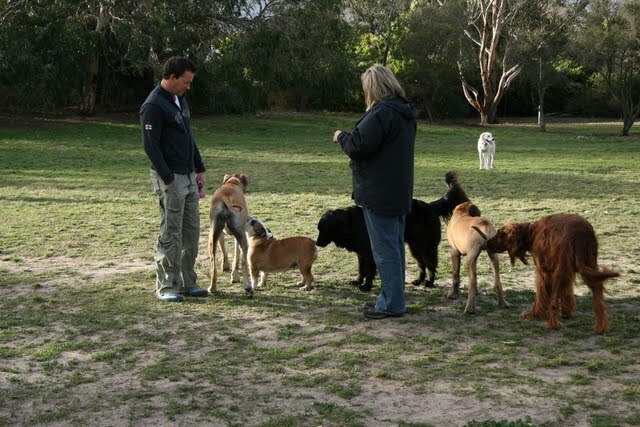 This great park located on the corner of Pickles and Richardson Street is an excellent morning and evening get together time for so many different types of dogs. Everyone is getting along so well and all the parents have got to know each other as well. Quite a community location. 2 Paw Votes.